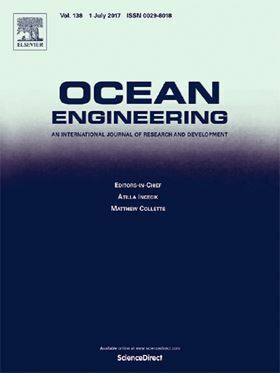 The research article 'Prediction of hydrodynamic performance of pump propeller considering the effect of tip vortex' has been published in Ocean Engineering (Volume 171, 1 January 2019, Pages 259-272). There is a strong gap flow in the pump jet propulsor, in order to predict the hydrodynamic performance of the pump jet propulsor, the steady-state hydrodynamic disturbance model was established by the panel method. The pump jet propulsor was divided into two systems, rotor-hub and stator-duct, and inter-system interference was considered by induced velocity. Aiming at the geometric shape of stator, a method of leaf meshes based on circular cone was proposed. Based on the actual situation of the internal flow of the pump, a tip leakage vortex model suitable for the flat-topped blade was proposed. Comparing the results of pressure, circulation, and propulsion performance, it was found that when the influence of tip vortex is considered, the overall annular distribution of rotor blade and tip load are closer to the actual situation, and the performance curve is in good agreement with the viscous flow, which shows that this method can effectively predict the steady hydrodynamic performance of the pump jet propulsor. Variable-displacement vane oil pumps are increasingly employed in automotive powertrains for their efficiency benefits through reduced losses.